I've been a long-time admirer of Democratic U.S. Senate Candidate Rick Weiland's passionate campaign style, though I find it coming up short when it comes to converting that passion into policy. I said as much in a post here a while back, prompting a spirited reply here. I found Rick's thoughts to be an excellent manifesto of Weiland's broadly populist approach to the campaign, railing as it did on the problems of concentrated wealth in this country. Given that South Dakota has a long history of sending Democrats to Congress, Weiland's appeal to his home state's natural and historic skepticism of the concentrations of political and financial power in Washington, D.C., and several of the big "money center" cities in the United States has a lot of potential to it among voters. As readers here know, I'm not much of a fan of Republican candidate and former Governor Mike Rounds, who is the GOP's default candidate based on his resume and early financial strength. Those assets weren't enough to get him much more than a slim majority of Republican votes (about 55%) in the recently held primaries and suggests to me that Republicans are anything but uniformly enthused about Rounds. Almost half of South Dakota's Pubs haven't made up their minds . . . which is okay, because as a practical political matter, I like the idea of sending both a Pub and a Democrat to the U.S. Senate. That way South Dakotans get to caucus with each party, which is no small consideration when it comes to making helpful political friends in D.C. That's why I'm pulling for Rick Weiland to win this seat. Trouble is, I'm having my doubts about the Weiland campaign's chances of success. Why? So far all I've heard from it are generalities about "taking it back" and a few stock endorsements of the Affordable Care Act that pretty much come out of the national Democratic party playbook. At the Party's state convention a few days ago he did go a bit farther afield by railing against the EB-5 visa program, which has had its share of troubles in South Dakota. However, it doesn't seem to be gaining any traction as a campaign issue of consequence, probably making it a waste of good campaign time. There is more fertile political ground for an agrarian populist to sow. For example, given Weiland's tenacious abhorrence of concentrations of money and power, I haven't heard him say much about the concentration that has been going on in the meatpacking industry during the course of the last couple of decades. This is a matter that has long been near and dear to the hearts of South Dakota's largest industry--livestock production--for many years now. Both producers and consumers in this country are basically in the clutches of a handful of meatpackers who continue to consolidate. Weiland should look at his counterpart in Nebraska, Democrat Dave Domina (also running for the U.S. Senate), for some guidance on this issue. Domina makes it pretty clear that he's opposed to mergers that squeeze suppliers and small companies trying to compete. Then there's the matter of cutting big banks down to size: Domina wants a law passed that limits banks to holding no more than 5 percent of U.S. deposits, down from the current limit of 10%. Going back to "farm belt" concerns, Domina is in favor of putting restrictions on big seedmakers like Monsanto. I can think of others, all of them directly concerning the welfare and opportunities of South Dakotans. Weiland really needs to get down to specifics like these if he's going to get the attention of an electorate that probably tunes out populist generalizations as just so much political blather. If Rick can do so, he'll at least bring the campaign to a level that working South Dakotans can understand because it will relate to their day-to-day concerns. As some bright guy once said, "all politics is local," which is a good dictum for local boy Rick Weiland to start building on. Rapid City (SD) Mayor Sam Kooiker Responds To My Post. My opponents have often maligned my affiliations in an effort to define me – don’t fall for their tricks. For example, in 2007 Alan Hanks and Jody Severson hammered me as a "right wing nut" because of my Christian faith, and in 2011 these same two guys hammered me as "in bed with the unions", and basically accused me of being a left wing nut in a flier to conservatives, due to my advocacy for the Firefighters in the face of serious injustices they had experienced. I am deeply flawed, but being “delusional” or “handing out favors to friends” is not one of them. I believe in picking the best people. Regarding Chief of Police, this was the first time in recent memory where the position open to all qualified applicants. 26 people applied, including 6 with strong local ties. The final three included 2 local candidates (Diaz and Jegeris) and a candidate from Florida. I personally interviewed all three. I knew Karl Jegeris longer and better. I was very impressed with Elias Diaz's vision, his leadership style, his impressive personnel record, and his diversity. He is part Native, part Hispanic, and also taught Spanish and English as a Second Language. Regarding personal affiliations, not one donor asked me to appoint Eli Diaz. Several of my donors asked me to appoint Karl Jegeris -- who I also have a lot of respect for. I responded to these requests by saying I had a responsibility to pick the right person. Two council members, Charity Doyle and Bill Clayton, may have been driven by their well-known biases. It would be easy to say “Well that doesn’t account for the other 6 no votes”. Even so, the ferocity of Charity and Bill’s opposition had an impact. Charity's biases against minorities are well documented in her book, called Political Prostitution. Don't accept my word for it – you can read it on Amazon.com. One of her multiple slams on Hispanic people is only a few pages after her bizarre defense of hanging nooses in public. She had also accused me of having a conflict of interest in the Disability Consideration policy in October 2011 (because I have a disability), and she even threw her ink pen across the room on camera when I voted for the policy. She also fiercely opposed a stronger Human Relations Commission ordinance in 2014. In this case though, I thought she would abstain due to the fact her husband is a police officer and the head of Fraternal Order of Police. Instead, Charity worked hard to smear Elias Diaz. Bonny Petersen has said I have the tendency to double down and fight when under attack. Of course. That's often good leadership. I was surprised by the smears against Lt. Diaz and the opposition in general because “outside” choices have been made before for Department Head positions, including 2007 when Alan Hanks appointed a new Fire Chief from Omaha instead of the “inside choice”. So I did consider “doubling down”. Lt. Diaz was not even an “outside” choice. He is an experienced member of the existing RCPD leadership team! But to Lt Diaz's credit, and to Karl's, Lt Diaz rose above the situation and asked me to support Karl after the initial vote. I am so proud of these two men and their willingness to work together and embrace each other's ideas. Now that the dust has settled, 3 things have been confirmed and should be celebrated: 1) Karl Jegeris has been confirmed Chief of Police. He will do a wonderful job. 2) Elias Diaz has been confirmed a rising star in the RCPD. 3) For the first time in a long time, Rapid City has a police chief who went through a rigorous process, and who made it to the final three based on no one’s influence but their own merits." Ya gotta give it to the delegates at the South Dakota Republican Convention that ended yesterday. They sure won't let common sense, history, political reality and self-respect get in the way of their determination to make collective asininity a public feature of their gatherings. This year they concluded with a determined call for the impeachment of President Obama. One delegate claimed "I've got a thick book on impeachable offenses by the President." Another invoked the cudgel of higher authority by saying "If anyone in this room cannot see the horrendous traitorous scandals run by the Obama administration, I will pray for you." Good grief. What is it with some Republicans and their propensity to use God (the losing GOP national platform in 2012 mentioned God 12 times vs. zero for its victorious Dem counterpart) as an instrument of political intimidation? On this particular point, I find plenty of fault with Barack Obama's presidency, but I don't consider him traitorous and wonder why on earth anybody feels the need to pray for me over this disagreement. Come off it, fellow Pubs. Religion is an unbecoming fixture on our political sleeves. Meantime, the SD GOP's doyenne, U.S. Representative Kristi Noem, wouldn't even go along with the impeachment nonsense. "Noem doesn't believe impeachment is the 'best way' to deal with Obama," according to news reports, which was actually a considerable rebuke, coming as it did from a Rep who had no hesitation to go to extremes in the recent past: Noem voted to shut down the federal government last Fall, as well as hobble the U.S. Treasury's ability to pay America's debts by voting against raising the debt ceiling at around the same time. Readers of this blog know that I consider her crazy for having done so. For some of these Republican "Impeach Obama!" hotheads to make Kristi Noem look and sound like a paragon of moderation and common sense says much about the make-up of GOP party workers and pros in South Dakota. Through all of this I've been scouring news reports and stories about the convention--as well as the SDGOP website itself--to get a rundown on how the state's party comes down on issues of real relevance to South Dakotans. So far I've found none. This is especially dispiriting because all the impeachment noise has effectively crowded out the messages that the GOP should be sending out to South Dakota's voters. I mean, like, wassup with teacher salaries, lousy wages, the labor shortage, Keystone XL, uranium mining in the Black Hills, the ridiculous number of sales tax exemptions, Slaughterhouse EB-5, Medicaid expansion, and so many others? Either the party's right wing prima donnas just sucked up all the media oxygen with their impeachment fixation or . . . Pubs as a group just don't have a clue about where they stand on real issues and created the brouhaha as a cover for their own helplessness. That Sam-I-Am That Sam-I-Am! I Do Not Like That Sam-I-Am. Actually, A Lot Of Us Aren't So Crazy About That Sam-You-Are, Mayor Kooiker. What gives with Rapid City (SD) Mayor Sam Kooiker? All of a sudden he seems to have gone from a reasonably level-headed city exec to 1) a reckless power-consolidator without much regard for the input of other city officials and 2) a brazen political machinist trying to pack county offices with his allies. On that last score, I really don't fault Kooiker for supporting people in their quests for elected and appointed positions in the area, but I'm noticing a trend that is disconcerting. The common element of his recent activities? Kooiker is transparently pushing friendship and political allegiance over experience, much to the peril of city and county residents, of which I happen to be both. I don't like this. More to Kooiker's political peril, it belies the level-headedness that he seeks to maintain and project as a crucial element of his executive authority. As outgoing Alderwoman Bonny Petersen expressed it to me this morning, "it would all be laughable if it wasn't so serious." Right on, Bonny. It was irksome and annoying during the primary season that ended a couple of weeks ago to put up with Kooiker's repeatedly gratuitous and cloying robo-calls favoring John Roberts and Jordan Mason for county offices. But as aggravating as the campaign was, it had, as Bonny notes, a laughable element to it. Both Roberts, running for County Auditor, and Mason, running for Register of Deeds, had the support of local "Wingnuts" (as they proudly dub themselves). The candidates had nothing discernible in the way of education and experience that qualified them for the respective offices they sought, but that was no impediment to their reckless campaigns. Kooiker and these political dilettantes are apparently more interested in making statements than staffing county offices with experienced and competent people. The voters agreed, trashing both the Roberts and Mason campaigns by 70-30 margins in favor of the vastly more experienced incumbents. Obviously, the shattered delusions of Kooiker and his fellow "Wingnutters" didn't make much of an impression on the mayor, who just embarrassed himself even more acutely with his failed effort at picking a new Police Chief for Rapid City. A few days ago Kooiker cavalierly bypassed long-standing procedures by selecting a candidate for police chief with no input from the Rapid City Council, which was not only an unseemly slap in the face to Rapid City's district representatives and their constituents, but a message to the citizens of Rapid City that Kooiker has no respect for a process of decades-long standing that has produced a succession of Police Chiefs that have done commendable jobs of running the RCPD. At yesterday's council meeting, which Mayor Kooiker must have assumed would be a rubber stamp approval of his choice (a fine officer and gentleman named Elias Diaz, who deserves much better treatment than this), considering that the Mayor scheduled a break in the council meeting for a reception for Diaz. That plan was unceremoniously derailed by an 8-2 city council rejection of Diaz. Square One is where the selection process now stands. I'm confident that the politically chastened Kooiker has learned to respect the process and I look forward to a new Police Chief who will undergo some rigorous consideration by a collection of qualified and experienced public officials who will put experience over politics during their deliberations. This should do Sam Kooiker some good, now that he's had the experience of standing before the public with green eggs and ham all over his face. Governor Daugaard Is Still Kinda Milquetoasty On Medicaid Expansion, But At Least He Didn't Diss It When Interviewed Last Week. It isn't exactly the boldest stroke of leadership I ever saw, but SD Governor Daugaard's comments last week regarding expansion of Medicaid in South Dakota took an interesting turn. He basically told listeneners to WNAX radio that he would leave the decision about expansion up to the state's legislature. This is classic buck-passing, of course, but the intriguing part of the interview is in the fact that Daugaard, who up to now has been recalcitrant in his opposition to expanding Medicaid in South Dakota, didn't utter a peep about his position on the matter. Last December he told the SD Legislature that "there are far too many unanswered questions for me to recommend adding 48,000 adults to the 116,000 already on our rolls." His December speech was part of a pattern of hostility and opposition to the idea of expanding Medicaid in South Dakota, an opportunity that was created by the Affordable Care Act (ACA, also known as Obamacare). I've always thought this position was irrational, if not altogether dumb. By not signing up for Medicaid expansion, South Dakota is turning its back on a multi-billion dollar windfall, basically refusing to spend $157 million (with an "m") between 2013 and 2022 in order to receive $2.1 billion (with a "b") in federal Medicaid disbursements during that same period. Concerns about the federal government's ability to sustain its share of 90% of the cost of Medicaid funding after 2022 has been an oft-cited reason for opposing the expansion, but that argument hasn't held much water. SD receives $2 billion a year from the federal government through a myriad of programs and nobody has ever suggested that those programs be rejected for fear that the federal government won't have the money to fund them down the road. So why is Medicaid expansion so suddenly on shaky fiscal ground? I believe the hostility toward Medicaid expansion has been strictly political, part and parcel of the anti-ACA fixation that has been festooned to the Republican Party for years now. As indications of ACA's acceptance and integration into the mainstream of America's economy and culture continue to mount, I think its politically driven antagonists will soon soften their attitudes and begin to work with, rather than against it. One manifestation? Governor Daugaard's categorical handover of the decision on Medicaid expansion to the state's legislature. Granted that Daugaard flubbed an opportunity to show some leadership by taking a position on expansion--but the fact that he simply said it's a legislative decision to be made, not an executive one, is to me a signal that he won't be vocal about the matter for the time being. I think at this point the simple arithmetic of the money involved has finally sunk in. It's hard for me to imagine an executive of any organization turning his back on billions of dollars. Anti-ACA diehards in South Dakota's legislature will continue to press their fight against expansion, but the winds are blowing against them. A poll last January found that 63 percent of South Dakotans favor Medicaid expansion. Joining in that support is the South Dakota Medical Association. Meantime, South Dakota's Wellmark, the state's Blue Cross Blue Shield provider will be joining the insurance exchanges created by ACA, a further signal that ACA is becoming a fixture in South Dakota's healthcare landscape. All in all, stubbornly holding out against Medicaid Expansion is looking a lot like (to coin a phrase, sort of) the foolish partisan consistency that is the hobgoblin of limited political minds. So Cantor Lost. Boo Hoo. Serves Him Right. We've Seen Similar Surprises Here In South Dakota--And It's The Same Old Story. The "same old story" happened here when George McGovern went down more than 30 years ago, followed by a chapter titled "Tom Daschle." The losers had a common flaw, politically tragic, and it cost them their careers: they got "Washington-ized." They just plain lost touch with the folks that supported them and swept them into power in the first place. And as they all discovered the hard way, voters just don't like that. From the news backdrop involving the Cantor debacle I got the sense that he was spending too much time with the D.C. "swells" and not enough with the working stiffs in his district. He became one of "them" at the expense of being one of "us." That disconnect led to a combo of complacency and overconfidence in the proposition that voters wouldn't turn out a federal rep with sizable seniority, which of course is the currency of power in Washington. 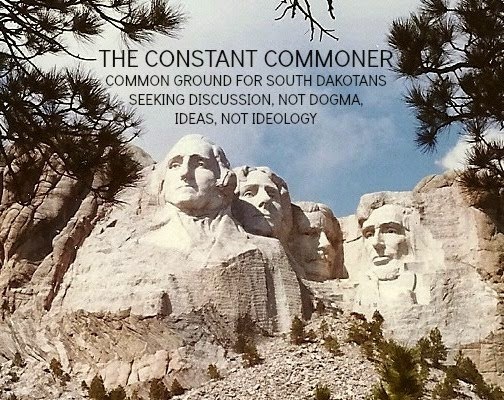 Though still getting acquainted with South Dakota during the last days of the McGovern era, I recall hearing repeatedly from his supporters that South Dakota voters would only be hurting themselves by turning out such a powerful Senator who could steer so much in the way of federal largesse to their state. No doubt there was something to that, but McGovern's national stature came at the expense of his South Dakota-rooted persona, so out he went. Same thing happened with Daschle in '04. I believe that he got complacent, relied on his political stature as one of the most powerful Senators in Congress, dropped his guard--and wham-o, in came Senator Thune. I still remember election day in '04, when my house got 4 "drops" from the Thune campaign vs. zero from Daschle's. From the story line coming out of Virginia, it sounds to me like Cantor's opponent, though outmatched when it came to money, had a gang of workers who more than made up for their dollar shortage with hustle and shoe leather. Probably the best post-mortem in all this comes from SD Republican Senator John Thune himself, who knows something about taking out a heavily-favored, ultra-powerful incumbent. Said Thune yesterday: "The takeaway in all this obviously is that you've got to work very, very hard; never leave anything to chance. Never take anything for granted." Even though I disdain the Tea Party and its "my way or the highway" legislative style--and couldn't be sorrier that a rational Republican like Eric Cantor got taken out by a T.P. 'er, I admire the outcome. The politically condescending Cantor had it coming. I only hope that the guy who won this thing, Mr. Brat, will, if elected to office in the general next Fall, come to the realization that he represents a whole lot of people who aren't as politically marginalized as he and his supporters are. His job will be to represent and build, not harangue and dismantle. Addendum (added on 6/13 @ 0935): A song dedication for Eric Cantor. Beat on the brat with a baseball bat. O . . . M . . . G . . . The State Of South Dakota Is Telling State Retirees To Check Out WWW.Healthcare.Gov. Really. This is Happening. Oh, that Cory Heidelberger over at Madville Times. He's still the best. This morning he found a recent communication from the State of South Dakota Health Plan to state retirees. It comes on the heels of SDHP's announcement that retirees would soon be facing a two-stage hike in their premiums, beginning January 1. Increases will range from 18% to 40%--quite the bite for any retiree. To soften the blow, an April 11, 2014, letter was sent from the plan to State of South Dakota retirees making this suggestion: "...While we are happy for you to remain on the state health plan if that is the best option for you and your family, we encourage you to compare the state rates and plan offerings to options available from the private market or the Health Insurance Marketplace. ...Specifically, families with incomes below 400% of the federal poverty rate are eligible for a subsidy through the Health Insurance Marketplace which may be financially advantageous as compared to the state health plan retiree rates. To learn more about the Health Insurance Marketplace, visit www.healthcare.gov or visit with a trusted insurance agent [Laurie Gill, Commissioner, Bureau of Human Resources, letter to state health plan beneficiary, April 11, 2014, p. 2]." Based on federal guidelines, I'm sure that a huge majority of SD State retirees fall into the 400% window of eligibility set forth in Commissioner Gill's letter. Considering that the entire deal is made possible by the Affordable Care Act, aka Obamacare, you'd have to wonder why Congresswoman Kristi Noem finds ACA despicable enough to vote for its repeal (54 times at last count). Republican Senatorial hopeful Mike Rounds has made ACA repeal a cornerstone of his campaign, and Governor Dennis Daugaard repeatedly refuses to accept ACA's multibillion dollar offer of expanded Medicaid funding and services, so profoundly does he distrust the whole concept of ACA. Daugaard is so skeptical of ACA's sustainability that his oft-cited rejection of its offer is that he isn't sure the federal government can come up with the funds to support Medicaid expansion a few years down the road. How he comes up with that notion remains a mystery, considering all the other federal funds we happily accept without questioning their financial sustainability in the future. Meantime, this politically-driven scorn for Obamacare overlooks the fact that a South Dakota state agency is promoting the use of the ACA-created marketplace as a source of insurance for state retirees. Actually, this strikes me as something more profound than cognitive dissonance. Everything considered, it seems to me that a certain political schizophrenia has set in. How does Kristi Noem explain to the state retirees that she represents in Congress that she's dead set on repealing the very vehicle that makes it possible for them to get a much better deal on their health insurance, per the State of South Dakota official who's in charge of such things? Meantime, are retirees supposed to rally round Mike Rounds now that he wants to join those who would take that deal away from them? As to Governor Daugaard, what does he tell current state employees about his reluctance to deal with ACA-sponsored programs when it looks like they'll eventually be turning to options created by ACA itself. Does he say "stay away, the system might go broke?" I think not. The anti-ACA meme is getting harder and harder for South Dakota's leading Republicans to sustain. A few days ago I noted that Wellmark, South Dakota's Blue Cross Blue Shield provider, is joinng the ACA-created insurance exchanges because, like so many other companies doing the same thing, it sees money to be made in a program that's likely to remain a fixture of American life. Now comes this news that the South Dakota Health Plan is leaning on ACA as a way of getting better deals for state retirees. South Dakota GOP leaders are painting themselves into a tight little corner on this issue, so much so that their intransigence, which they probably think, delusionally, passes for political determination, is beginning to take on the look of plain old-fashioned foolishness. Are Common Core-bashers The Luddites Of Our Day? And More About Daugaard's Infatuation With STEM-Centric Schooling. I'm pretty much in favor of the Common Core curriculum that will soon be saturating our schools. I'm as dubious about its outcomes as I was when No Child Left Behind became the dominating dogma in American educational institutions a generation ago, but considering the general state of public education in the country, a concentrated effort at making some substantive system- and nationwide-wide changes is a worthy effort. A recent WaPo piece that's loaded up with plenty of data lays it out pretty clearly: "U.S. schools seem to do as badly teaching those from better-educated families as they do teaching those from less well educated families." On the proof-is-in-the-pudding front, U.S. Citizen And Immigration Services this year has received nearly 200,000 H1-B visa petitions from American employers seeking technical workers from overseas. Apparently those slots can't be filled by Americans, a situation that should be met with embarrassment and concern in a country that spends more educating its children than any other country in the world. Given that the United States has had a long and prosperous history as a land where innovation and experimentation have driven us to world leadership, none of our institutions should be exempt from constant re-evaluations of basic assumptions and standards. To me, that goes double for public education, which has to be ready to absorb and dispense to our students all the knowledge that is constantly being generated by advances in the sciences and industry. Which brings me back to Governor Daugaard's recent utterances about South Dakota-educated youngsters pursuing STEM (Science, Technology, Engineering, Mathematics)-focused educational opportunities on graduating from high school. As I note in my last blog post, this is sound practical advice. But as my reader Douglas notes in his comment below the piece, the focus should start at grade school, not at graduation. I agree, which begs the question: Considering that Daugaard presides over a state that has the lowest paid teachers in the nation, I wonder how he expects to get qualified STEM-instructors into our K-12 schools to pass on the knowledge that he deems ultra-important. Can we expect teachers in those fields to forsake the salaries they can get in the private sector in order to make that whopping $39 thousand a year that SD teachers are being paid, on average? Please. We need leadership here, Governor Daugaard, not rhetoric. Daugaard Dishes Out Practical Advice To Girl's Staters. But Why Should They Take It? I wasn't as chagrined as a lot of folks upon learning that SD Governor Dennis Daugaard spoke to this year's gathering at Girls Sate in Sioux Falls and gave them a lecture about their educational aspirations. He laid out the practical consequences of pursuing some degrees and forsaking others, putting it thusly: “I’m not saying you shouldn’t follow your dreams. If you’ve got your heart set on being a philosopher and you’re going to get a degree in philosophy, God bless you. Have at it. But know that at the end of that ... four-year road, it’s very difficult to get a job. While there are many good degrees, there are many others that lead to virtually no opportunities." Further along in the speech, Daugaard noted, “In South Dakota particularly, the demands that we’re seeing are in the sciences, engineering, information technology, accounting, the health fields and in the skilled trades, machining, welding, construction trades, manufacturing trades.” Cory Heidelberger's outstanding blog Madville Times has a spirited discussion about the event, the speech, and Daugaard's disregard for a humanities/liberal arts-based university education. I'm not crazy about the way the Governor disdained the practical value of a liberal arts curriculum leading to a future of "virtually no opportunities." I've seen different and I know better. Just the same, I'll cut him some slack. Daugaard was offering some fact-based advice to a block of some of South Dakota's most outstanding young women and, at the same time, addressing the pressing need for skilled workers and professionals in South Dakota's labor market. Last January Daugaard noted during the legislative session that developing South Dakota's labor force would be a top priority this year. He has already embarked on a series of "workforce summits" around the state, where he's been engaging local business and civic leaders in meetings meant to produce ideas on how expand our state's skilled labor pool. This talk to the young women at Girl's State meshes with the Governor's overall plan to get a more technically proficient population of workers in South Dakota. It makes sense, up to a point--the point being, what is the Governor doing about making South Dakota an attractive enough state in which to secure the services and lifelong commitments of these highly prized workers? Daugaard seems to think that South Dakota, in its present cultural and economic condition, is a self-selling entity that has enough innate attractions to entice these future technicians and highly skilled professionals to want to stay here in the first place. On that score, I think the Governor is kidding himself. If Daugaard wants to sell these young women on educating themselves and remaining in South Dakota to pursue their careers, he has to give them reasons why they should do so. That demand for them exists doesn't make the sale. There's equal demand for them everywhere. Actually, given pay differentials between South Dakota and our surrounding states, demand for them elsewhere is greater than it is here in SD. Meantime, these Girl's Staters are being asked by Daugaard to contemplate rearing their future children in a state with the lowest paid teachers in the United States. On a performance scale, South Dakota's public schools ranked dead last in Education Week's survey of American schools in 2013. Daugaard is trying to get the probably sizable group of soon-to-be young moms in the audience interested in furthering their vocational skills, no doubt hoping they'll stay in SD, while ignoring the fact that their home state is a not-very-impressive venue for rearing their children. Rounds Doesn't Close The Sale. Dems Commit Hara-Kiri with Wismer. Jensen Wins In District 33? Ugh. At first blush--and we Pubs have much to blush about with Mike Rounds as a candidate--it looks like Rounds had an easy go of it in last night's primary. He easily outdistanced his quixotic and underfinanced field of challengers, capturing something like 55% of the overall vote, pretty much as expected and predicted. Money and name-recognition are a formidable combo and they served Rounds well in this first round of the election cycle. He and his supporters have good reason to cheer, but I'm certain they've haven't uncorked the bubbly just yet. Rounds the insurance broker by trade is probably the first to realize that the deal is far from closed. What is probably most troubling to the Rounds campaign is the plain arithmetic in the final tally. Nearly half--45%--of South Dakota's Republicans preferred another candidate to be their champion in the race for the United States Senate. This is not exactly the kind of unified show of support that a well-known and -financed candidate in a strongly Republican state should like to have going into a general election campaign. Fact is, there are plenty of stirrings of discomfort and outright hostility toward Mike Rounds within SD's GOP. Considering their animosity toward Rounds during the primary chase, I have little doubt that a whole wing of Republicans will jump the party's ship and support an Independent named Gordon Howie, whose ultra-conservative credentials are well-known in South Dakota and more suited to the "true" conservative believers who ran against Rounds in the primary. Given that the number of Rounds-haters amounted to nearly half the GOP's vote yesterday, this will pose a problem for Mike Rounds. The Independent candidacy of former Republican U.S. Senator Larry Pressler, the run by Howie, and the natural 35%-40% of voters who will likely vote for Democrat Rick Weiland add up to some challenging numbers for Rounds come November. I think the likeliest beneficiary will be Weiland, who has a serious chance of winning this thing with a plurality if enough GOP votes get siphoned away from Rounds and distributed to Pressler and Howie. On the Dem side, I'm chagrined that party insider Susan Wismer knocked off the dynamic Joe Lowe, whose background and style are much more suited to an executive suite than Wismer's tentative and wishy-washy persona. Wismer went far on party support and name-recognition, particularly in the rural counties of the eastern part of the state, but Dems should ask themselves why Lowe carried Pennington and Minnehaha Counties, where urbanized voters were probably more keenly aware of the differences between the two candidates based on the natural tendency to be more exposed, aware and knowledgeable about the race, thanks to more intense media and personal exposure. Dems might have had a chance with Lowe, but surrendered that possibility by nominating Wismer. As to the District 33 Senate race in Pennington County, Phil Jensen, the man who would overturn the Civil Rights Act of 1964 by allowing merchants to openly discriminate against anybody of their choosing, pulled it out in a squeaker. The narrowness of that victory suggests that there is still hope for rationalism making a comeback in that district.